How does dental tourism work? The concept of dental tourism doesn’t have to be difficult. Understandably – especially in Western countries – dental work can be some of the most taxing on your wallet. Even for those with medical insurance, co-pays can soar through the roof, making it both discouraging as well as impractical in most cases to pursue and receive adequate dental care in one’s home country. The beauty and simplicity of dental tourism can be appreciated like this; even on a tourist-visa, an individual can pay out of pocket for both minor and major dental work from accredited, reputable practitioners for less than a fraction of the price of their home country. Even better, for lengthier visists or necessary stays, most countries gladly provide visa (tourist) extensions for a small price. Affording dental care, surgery, and other expensive procedures in one’s native country can not only be costly, but can even be impossible per most available (including paid) medical insurance plans. Often, regardless of co-pay requirements, in most instances even flexible payment plans don’t solve the high-costs to be paid. Let’s evaluate the Top 5 best countries for “Dental Tourism”. Philippines– While the Philippines can be a costly air-fare stemming from most Western countries, dependent upon the season of travel, available discounts, and disposable funds this can be one of the top-leading dental tourism locations. 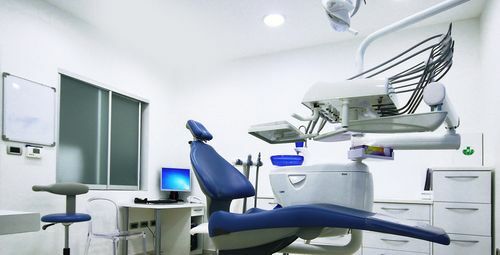 The Philippines dental industry in a typical office setting provides cleanings for as a little as $10 USD average, and most cavity fillings for as cheap as $20 USD. These, as well as other surgical procedures are done by highly respected, educated, and credible professionals. As an added bonus, the Philippines is also internationally known for some of the most exotic, affordable beaches and other interesting sight-seeing opportunities – so kill two birds with one stone! Thailand – Thanks to the advanced technology and superior education requirements in the field of Dentistry, some of the most common dental tourists from Western countries rely on the affordable pricing and “know-how” of Thai dentists to meet their basic to advanced dental needs. Thai’s booming economy and velocity of foreign to local medical practitioners has made it especially popular for dentistry tourism for the past 5-10 years. While cost of living isn’t the cheapest – dependent upon where you stay – it’s not the most expensive either – so accommodations before, during, and after major dental work is made affordable to any dental tourists. Mexico – Whether you elect for a simple drive across the border, or a flight to Cancun, Mexico is one of the top, growing dental tourism countries in the world. Affordable rates for dental work can be comparatively 1/10th the price of typical priced-procedures elsewhere – or in more common western countries. While some medical practitioners in Mexico are not “official” or truly licensed, it’s – understandably the responsibility of the dental tourist to ensure accreditation and of course reputation before undergoing any treatment or major surgery. Spain – As “rich” of a country as it is, Spain has become a growing hotspot for dental tourism. This is thanks to recent, severe deflation and economic distress. The most popular dental tourism comes from citizens of Ireland, Canada, and other places throughout the UK. A flight to Europe can be expensive, but so can a root canal, new braces, and other dental surgical procedures. In comparison, and in light of the times, 2016 is an optimal time to visit Spain for dental tourism purposes. While cost of living is a bit expensive, dentist professionals and environments have been reported to be some of the most cleanest in the world, and carry a strong, positive reputation throughout the world both via internet and word of mouth. Poland – With implants including crowns only costing only $750, and Veneers at an affordable $400, it’s no wonder why Poland is a Dental tourism capital of the world. Fillings by a licensed, professional dentist typically only cost $160, and a professional cleaning and bonding $60. While Poland might be a cold place, it’s definitely popular with German, British, American, and even Canadian dental tourists.